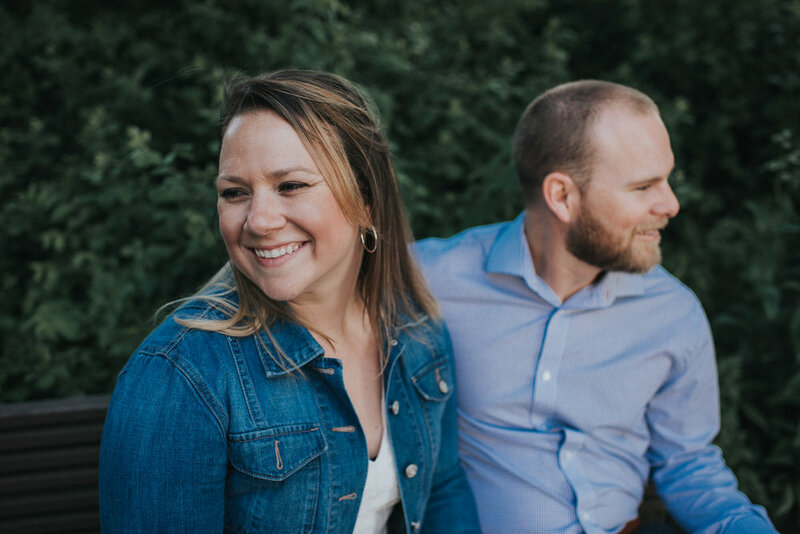 Maddison + Patrick are the type of people you feel like you've known all your life. Their laughter and love for each other is so contagious. 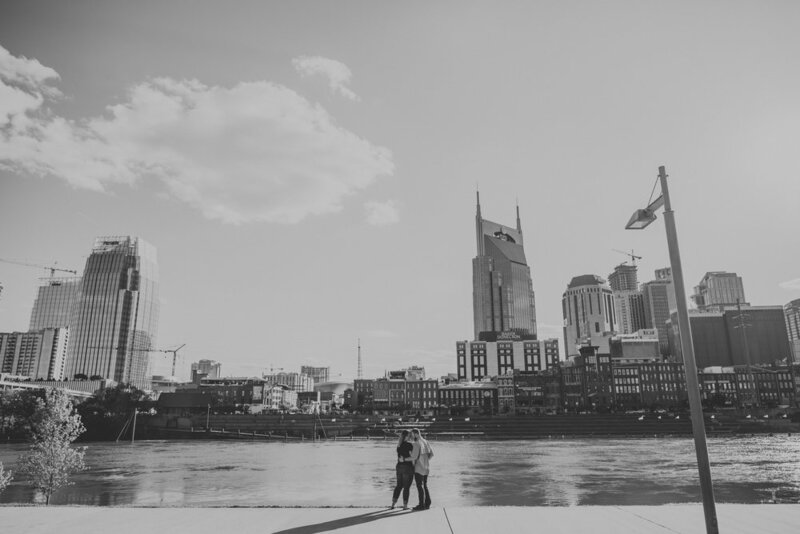 They traveled all the way from Chicago to meet us for their engagement session here in Nashville. 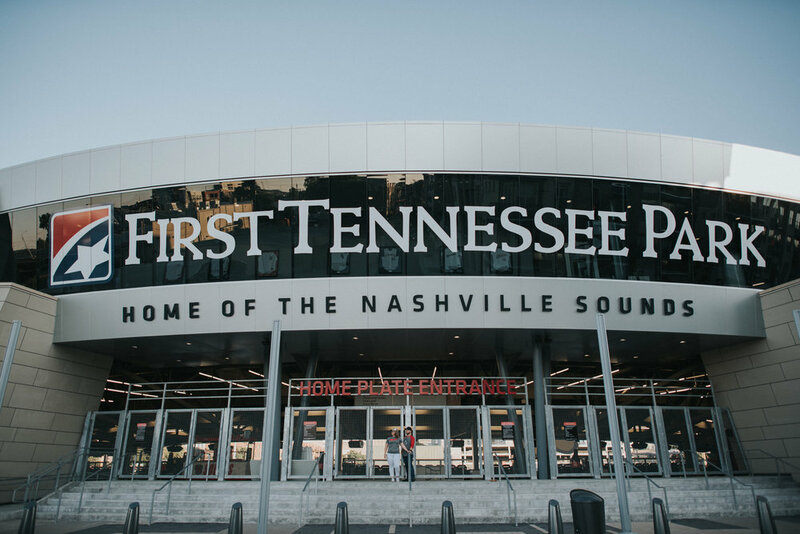 We loved incorporating a little piece of their story- we ended our session where it all began for them- the Nashville Sounds! 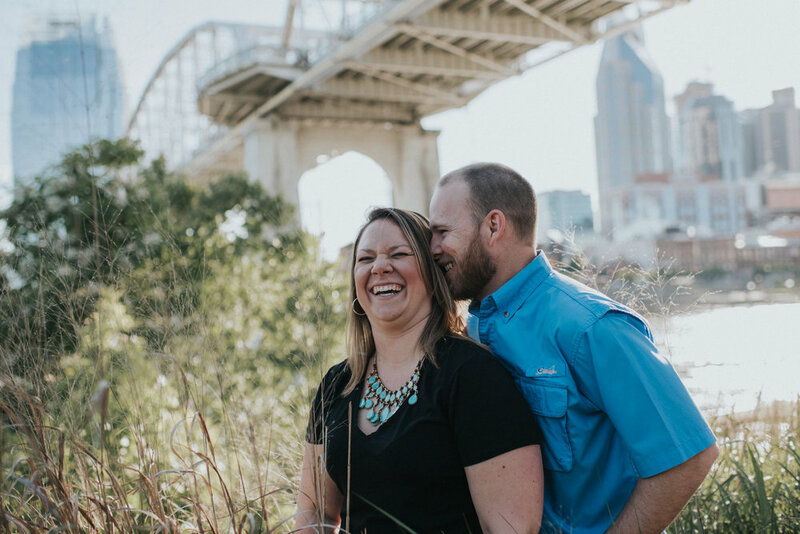 We can't wait for their wedding day this fall!